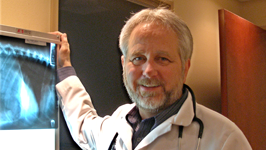 Dr. Pat Taylor graduated With Distinction from Washington State University in 1972. He has been working at the practice since 1972. His veterinary interests include hospital management, surgery (orthopedic and soft tissue), diagnosis and treatment of lameness, and veterinary dentistry. Dr. Taylor’s wife, Marilyn, is from Nelson, British Columbia, Canada, and is a retired nurse. They are proud owners of two spoiled cats, Mushu and Mini. In his spare time, Dr. Taylor enjoys fishing, boating, hiking, skiing, and relaxing at his cabin in Tenakee Springs. His response to “When are you going to retire?” is, “I don’t know, I guess when I don’t enjoy working anymore”. After graduation from WSU in 1980, Dr. Kramer ventured to Juneau for what was supposed to be just a three month job. Dr. Kramer fit in so well that Drs. Lobaugh and Taylor convinced her to stay, and she became a permanent addition to the clinic. At the clinic she enjoys working with a variety of pets and her veterinary interests include ophthalmology, dermatology, soft-tissue surgery and diagnostics. 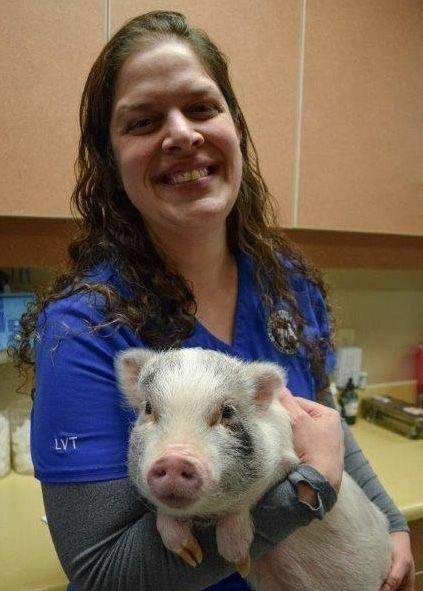 Dr. Lisa Kramer has a special interest in acupuncture treatments and has received her certification by completing the acupuncture course at the Colorado State University School of Veterinary Medicine. She is a member of IVAS (the International Veterinary Acupuncture Society). Dr. Kramer is extremely active. She enjoys biking and hiking in her spare time. She has participated in the Kluane-Chilkat International Bike Relay and the Klondike Road Relay. Dr. Kramer and her husband Glen are proud parents of two sons. They currently have two dogs and four cats. Dr. Steve Torrence has been a resident of Alaska since 1981, having first lived in Fairbanks. He studied biology and premedicine at the University of Alaska, Fairbanks and received his doctorate in veterinary medicine with honors from Washington State University in 1995. He is the past president of the Interior Alaska Veterinary Medical Association and also served as chair of the State Board of Veterinary Examiners. Dr. Torrence joined Southeast Alaska Animal Medical Center in October of 2004. At the clinic, Dr. Torrence enjoys surgery as well as regulatory medicine. Dr. Nance was born and raised in Colorado. There, he attended Colorado State University for his undergraduate degree in Microbiology. He then went on to attend the Veterinary program at CSU and received his Doctor of Veterinary Medicine degree in 2005. 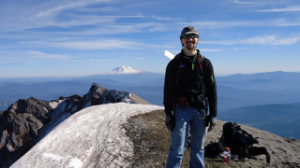 Dr. Nance has had the opportunity to live all over the country and considers Alaska his favorite place on earth. Dr. Nance has a special interest in feline medicine and exotic animal medicine. Day-to-day, he stays busy with surgery, dentistry, and internal medicine. Dr. Nance loves the outdoors. If there will be a good view at the top of the mountain, that is where you will find him. Dr. Maura Westerdahl is originally from upstate New York. She attended Dartmouth College where she received a Bachelor of Arts with High Honors in Biology. Dr. Westerdahl furthered her education at Cornell University, earning a Doctor of Veterinary Medicine in 1997. After living and practicing in Seattle, Washington for 15 years, Dr. Westerdahl and her husband Tom have made Juneau their home. Dr. Westerdahl’s primary veterinary interests include internal medicine, senior care, and ultrasonography. When she isn’t working, she enjoys hiking with her miniature pincher Tito, as well as cooking and reading. Dr. Jennifer Tobiason graduated from Washington State University in 2015 and has lived and worked here in Juneau ever since. Dr. Tobiason's veterinary interests include dental and geriatric care. She is continually exploring all that veterinary medicine has to offer to find her perfect niche. Outside of the hospital, Dr. Tobiason enjoys gardening, knitting and baking. 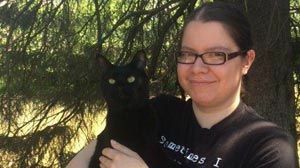 Dr. Tobiason relates well to clients, in part, thanks to the special medical needs of her own cats. Each of her three kitties is living with a life-long condition. Dr. Campbell was raised on a horse farm, in Washington State, in the shadow of Mt. Rainier. He spent his twenties helping to manage a large, very well respected, fly-out fishing lodge in the Wood-Tikchik State Park and surrounding areas of Bristol Bay before meeting his wife. Once Dr. Campbell married, he and his wife, started a journey together that would ultimately culminate in Dr. Campbell pursuing veterinary medicine and his wife becoming a dentist. This pursuit eventually led them to Juneau. Together they have two children. When not practicing, Dr. Campbell and his family enjoy spending time together. 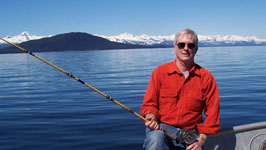 Dr. Campbell particularly enjoys fishing, skiing, and prospecting for gold in the greater Juneau area. 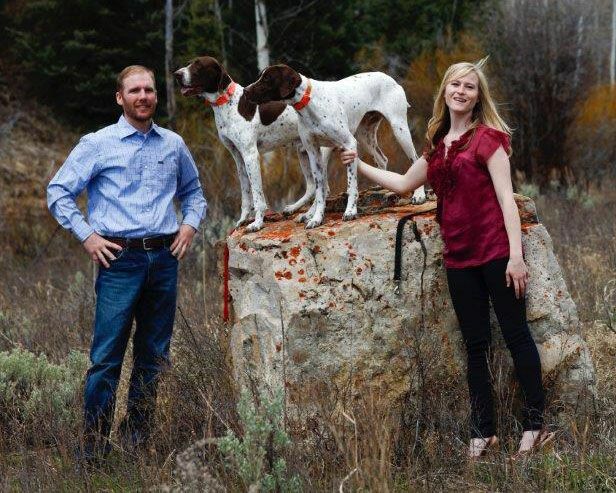 Dr. Campbell has had a long line of German Shorthaired Pointers over his lifetime and cannot imagine life without bird dogs. Dr. Ward was born and raised in upstate New York. She graduated from Cornell University College of Veterinary Medicine in 1990. Dr. Ward then moved to Western Canada after graduation to begin her veterinary career in private practice. Dr. Ward has also worked in the pharmaceutical industry and has managed other veterinary practices. In 2017, Dr. Ward visited Juneau and fell in love with Southeast Alaska! She made the decision to move here with her LabrodorRetreiver , Stella. 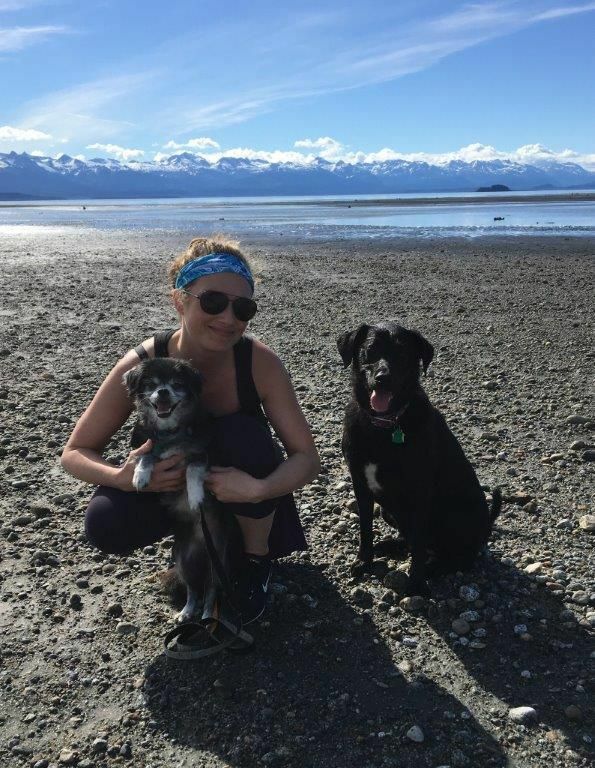 Dr. Ward feels very fortunate to have landed at Southeast Alaska Animal Medical Center where she has rediscovered her love of clinical practice. She really enjoys working with her many patients and colleagues. Dr. Ward's primary veterinary interests are in wellness and preventative care. Dr. Ward appreciates being able to help educate her clients and answer their questions. 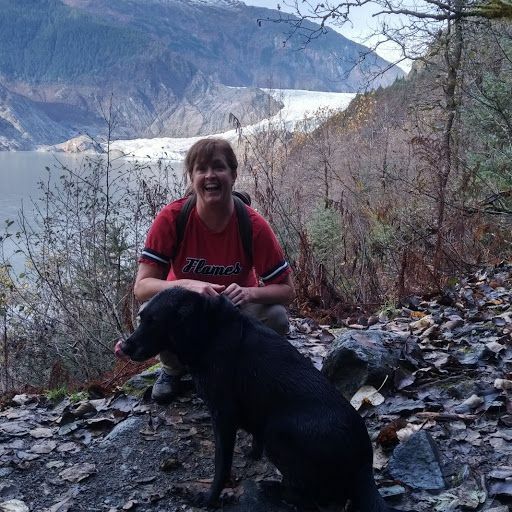 In her free time Dr. Ward enjoys hiking, kayaking, and exploring Southeast Alaska. Stella enjoys the abundance of dead fish that are available here to roll in and she also enjoys shaking hands with porcupines. Tracye Eason moved to Alaska from Texas in 1986. 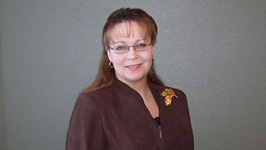 She graduated from University of Alaska Fairbanks in 1990 with Bachelor’s degrees in English and Accounting. 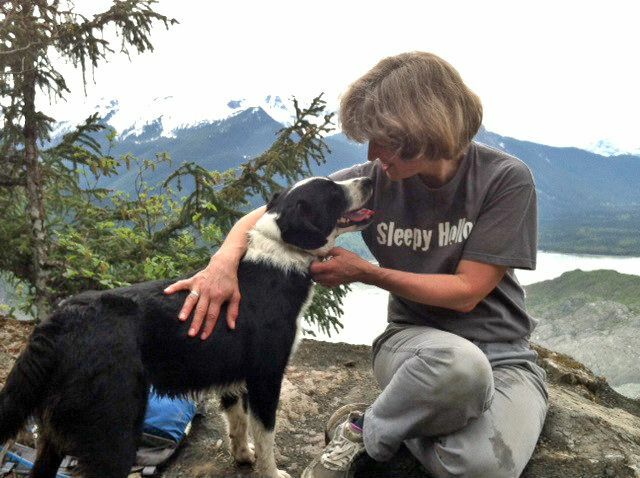 Tracye has has been with Southeast Alaska Animal Medical Center since 1993. Tracye’s husband, Steve, is an engineer with a local telecommunication business. The Easons are active with the Juneau Ski Team and other youth activities. In their free time, they enjoy traveling. They are the proud parents of three children. Three dogs and a cat round out their busy household. While still in high school, Melissa began working at a small animal practice in SW Washington. Though the work was often demanding, Melissa found that she loved patient care. She went on to obtain her LVT in 2000. Her interests include reproduction, anesthesia, anesthetic monitoring, nutrition and exotic patient care. 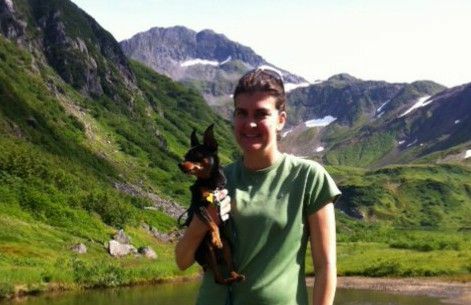 Melissa joined Southeast Alaska Animal Medical Center in 2013. Currently, she leads our technician team. She is especially skilled in working with pediatric, geriatric, exotic and medically fragile patients. Her animal family includes 4 kitties, 1 poodle, 7 reptiles, 1 lizard and fish. When Melissa isn’t busy with her patients or her pets, she enjoys gardening, hiking, photography and traveling. Bob grew up in central New Jersey with a keen interest in wildlife. He earned a Bachelor of Science in Biology from Rutgers University. Bob went on to earn a Masters Degree in wildlife management from Virginia Tech. After graduation, he worked for the Forest Service and Fish and Game in Idaho and developed a great love for fishing and hunting. Later Bob attended Washington State University where he earned a Doctor of Veterinary Medicine in 1993. After working many years in Idaho and Alaska as a veterinarian, Bob wanted to step back from the demands of emergency on call care. We are fortunate that he has stayed on with the hospital as a very skilled technician. 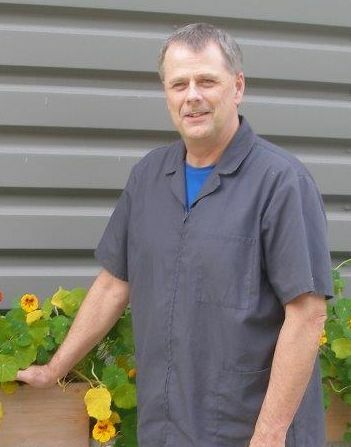 Bob continues to enjoy fishing and has also become an avid and skilled woodworker.